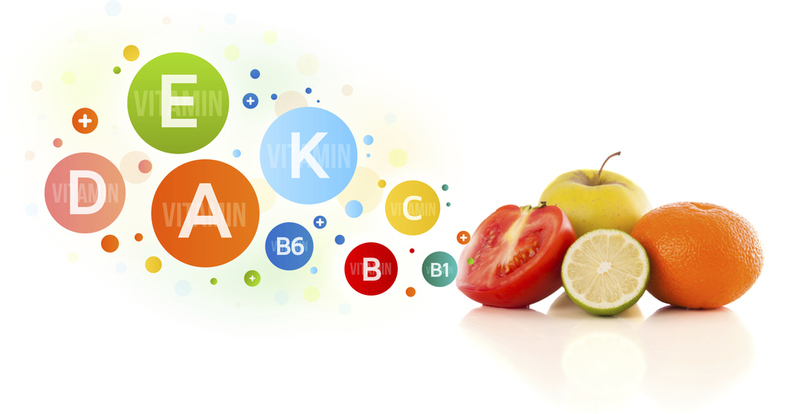 Micronutrients 101 – The Vitamins & Minerals Your Body Needs to Thrive! Our macronutrients include protein, carbohydrates and fat and provide us with the calories we need to function and survive. However, our macronutrients are the supply chain for all of our micronutrients. Micronutrients are substances which are required by the body in small quantities to ensure normal metabolism, growth and physical well-being. In this article I will provide a detailed overview of micronutrients, their functions and consequences of deficiencies or excess consumption. The term micronutrient is used to describe vitamins and minerals your body needs to thrive. Vitamins are organic compounds made by plants and animals which can be broken down by heat, acid or air. On the other hand, minerals are inorganic substances that exist in soil or water and cannot be broken down. Humans must obtain micronutrients from food since your body cannot produce vitamins and minerals internally. That’s why they’re also referred to as essential nutrients. When you eat, you consume the vitamins that plants and animals created or the minerals they absorbed. The micronutrient content of each food is different, so it’s best to eat a variety of foods to get enough vitamins and minerals. Regardless of type, vitamins and minerals are absorbed in similar ways in your body and interact in numerous important processes. Most vitamins dissolve in water and are therefore known as water-soluble. They’re not easily stored in your body and get flushed out with urine when consumed in excess. While each water-Soluble Vitamin has a unique role, their functions are related. For example, most B vitamins act as coenzymes that help trigger important chemical reactions. And many of these reactions are necessary for energy production. As you can see, water-soluble vitamins play a critical role in producing energy but also have several other important functions as well. Since these vitamins are not stored in your body, it’s important to get enough of them from food. Fat-soluble vitamins do not dissolve in water and therefore are best absorbed when consumed alongside a source of dietary fat. After consuming fat-soluble vitamins, they are transported and stored in your liver and adipose tissues (fat) for future use. Macrominerals are needed in larger amounts than trace minerals in order to perform their specific roles in your body. Trace minerals are needed in smaller amounts than macrominerals but still enable important functions in your body. Zinc: Necessary for normal growth, immune function and wound healing (31). All micronutrients are extremely important for the proper functioning of your body. Consuming an adequate amount of the different vitamins and minerals is key to optimal health and may even help fight disease. This is because micronutrients are part of nearly every process in your body. Moreover, certain vitamins and minerals can act as antioxidants. Certain minerals may also play a role in preventing and fighting disease. Research has linked low blood levels of selenium to a higher risk of heart disease. These studies suggest that consuming enough of all micronutrients, especially those with antioxidant properties, provides ample health benefits. Micronutrients are needed in specific amounts to perform their unique functions in your body. Getting too much or too little of a vitamin or mineral can lead to negative side effects. Most healthy adults can get an adequate supply of micronutrients from a balanced diet, but there are some common nutrient deficiencies that affect certain populations. The signs, symptoms and long-term effects of these deficiencies depend on each nutrient but can be detrimental to the proper functioning of your body and optimal health. Micronutrient toxicities are less common than deficiencies. They are most likely to occur with large doses of the fat-soluble vitamins A, D, E and K since these nutrients can be stored in your liver and fatty tissues. They cannot be excreted from your body like water-soluble vitamins. A micronutrient toxicity usually develops from over supplementing with excess amounts. And signs and symptoms of toxicity vary depending on the nutrient being supplemented. It’s important to note that excessive consumption of certain nutrients can still be dangerous even if it does not lead to over toxicity symptoms. More research is needed to fully understand the long-term effects of toxicities and supplements. However, people at risk of specific nutrient deficiencies may benefit from taking supplements under the supervision of a doctor. If you’re interested in taking micronutrient supplements, look for products certified by a third party. Unless otherwise directed by a healthcare professional, be sure to avoid products that contain “super” or “mega” doses of any nutrient. The term micronutrient refers to vitamins and minerals, which can be divided into macro-minerals, trace minerals and water and fat-soluble vitamins. Vitamins are needed for energy production, immunity, blood clotting and other important functions while minerals benefit growth, bone health, fluid balance and other vital processes. To get an adequate supply of micronutrients, aim for a balanced diet containing a variety of whole, unprocessed foods.